Can Science Solve a Music Industry Mystery? Legal experts call upon audio forensics experts to unravel a puzzling mystery that has rocked the music industry. (Inside Science) -- From its start, the case has been a thriller. For the past four years, an aural whodunit has been unfolding in Los Angeles. A class-action lawsuit alleges that three songs from Michael Jackson's posthumous album, Michael -- “Breaking News,” “Monster” and “Keep Your Head Up” -- were not voiced by the artist himself. If found to be true, several of the album’s producers could be charged with fraud and forced to pay the King of Pop’s fans. In the quest for answers, legal experts have turned to a fascinating field of science: audio forensics. Extremely difficult, said Rob Maher, an audio forensics specialist at Montana State University in Bozeman. The analysis can be difficult to produce, and the methods can sometimes be subjective, in contrast to something like a DNA analysis, which is reproducible, said Maher. "You can repeat the test in different labs and generally come up with exactly the same conclusion -- that type of evidence is what we really wish we had in audio forensics." 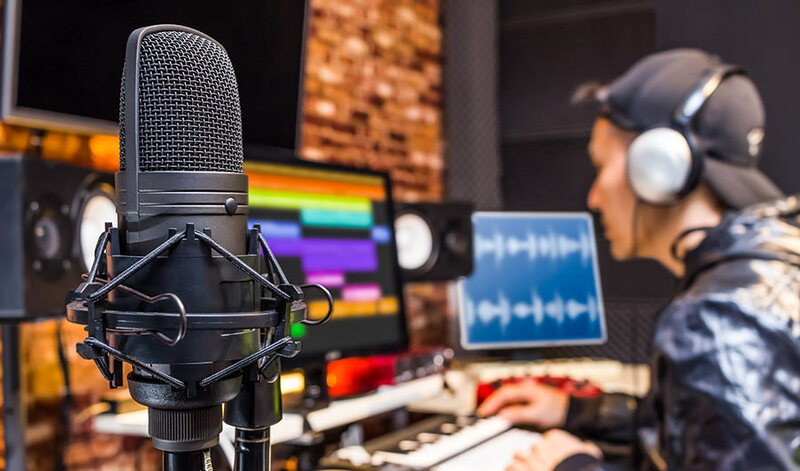 In the courtroom, audio forensics experts are typically called upon to enhance the sound quality in a recording, identify speakers and sounds, or provide an interpretation of a recording. Cases that involve music pose a particular challenge for audio forensics analysts -- especially electronic pop music. Synthetic sounds added in the studio and in postproduction make it extremely difficult to pick apart the layers of a song. Singers' voices can be manipulated beyond recognition and electronic instruments can muddle the frequency of the recording. Catalin Grigoras, a speaker recognition scientist at the University of Colorado Denver, notes that certain types of vocalizations in a song can make a piece of audio especially difficult to analyze. "As we start to whisper or to falsetto or to sing or to scream, we force the vocal tract," he said. "That is one of the reasons the precision of speaker recognition systems fails or is much lower. This straining of the vocal cords makes it difficult to match a recording with the person who voiced it." For as long as audio has been recorded, the field of audio forensics has helped to unravel its many mysteries. Audio analysis helped investigators reconstruct the assassination of JFK using home videos that were shot from the crowds. During the Watergate scandal, it revealed that taped conversations between President Richard Nixon and his chief of staff, H.R. Haldeman, were doctored. Audio analysis has been critical in finding clues left in the wreckage of downed planes, and experts have been tapped to testify in murder investigations. In the music industry, copyright infringement cases have relied on the testimony of audio forensics experts. The shift from analog to digital has been both a blessing and curse. While sound quality, signal strength and storage capacity have increased, the digital fingerprints of modern audio recordings are easier for would-be smooth criminals to tweak. Maher primarily works in gunshot acoustics. Typically, he's called to analyze surveillance footage, cellphone videos, and other recordings for clues about how an incident unfolded. From short audio snippets, he can often tell what type of gun was used, who shot first and where the shooters were in relation to the microphones. There are several methods through which a forensic audiologist might inspect a recording. A forensic musicologist might also turn to the aural spectrographic method to help identify whose voice was recorded. This method requires an audio forensics expert to listen to the recording in question and then to an exemplar, which is a sample track recorded by the suspect. If it sounds similar enough, it’s deemed a match. Maher was quick to point out that this method can sometimes be subjective and unreliable. Additionally, spectrograms, the colorful images that chart out the frequencies of different sounds in a recording, have at times been checked against recordings from a spectrographic database. Metadata tucked in the file can be analyzed, too, and can reveal alterations to the track. As for Jackson’s final album, John Simson, an entertainment law professor at American University in Washington, D.C., said it’s all about the fans' expectations. "If they're making the claim that he doesn't actually sing on all nine tracks and the album says that he's singing on all nine tracks, someone probably has a pretty good consumer case," he said.